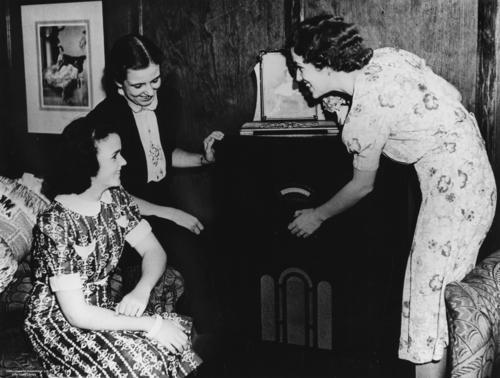 I guess as I write your ears are tuned to the wireless as the counting has probably started and lots of people who have previously taken no interest in politics will be interested to see how things go this time. That Warner chap certainly caused a stir didn’t he – to all intents and purposes he might top Charlie Frost. But whether he wins the seat or not he’ll do well out of it because he’s a cinch to get a commission when he gets back to his unit and the publicity he’s got out of this show will give him an impetus to the sale of his book. Your interesting letter of the 16th came in yesterday – that business of Tiny’s was interesting but after all when you look around at the bludgers who have done nothing at all, can you blame him. When you take blokes like Bluey Brooks getting a rise in pension and the bludge McQuiltan made of it – well Tiny’s been in more than the two of them together and by the same token look at the thousands of so called key men and the useless choc’s. Frank McDonnell was here to see Jim the other day and he shares the general opinion. I see in the paper this week that the question of membership of the League is to be discussed at the Federal Congress. If they accept Militia they’ll only get the base wallopers of the AIF. I suppose you haven’t seen or heard anything of Ack Hallam. It must be nearly three months since he left the unit for home but so far nobody’s heard anything of him being home. Quite a lot of chaps have asked me if I’d heard whether he was home or not. Sorry to hear that Nell is crook and hope it isn’t too serious. Give her my best wishes for a speedy recovery will you. Clare Graydon is apparently doing alright for herself – the orthodox monotony and orderliness of the game would appeal much more to a woman’s mind than a man’s. They have a natural knack for routine work. I’m still getting my share of letters. Among this week’s lot was one from Evelyn Anderson – the girl who bought Anne’s Scotty rig for me. A bright witty letter and just the thing to pep you up these times. When I last wrote to her I sent Rex Wedd’s address. She said she had written him and expected to be in Scotland soon and would try and see him – half his luck. Youngster still seems to be having a bad trot although in yesterday’s letter she said she’d seen Mr Sturrock and he’d arranged to get her some wood so that should be some help to her. The baby seems a great comfort to her and I hope the weather will soon take up and she’ll be able to do something about the antrim(?) trouble. There’s no doubt about it she’s had an uphill fight. Things in general are fairly pleasant just now. The CO has arranged for an intra-platoon and inter-company cricket roster and there’s been some good games this week and we’re hoping for more next week as we get the afternoon off to see the games. My platoon has just finished a game – they got beaten but it was a good game for all that. A tragedy occurred while we were away at the match: I’d washed and boiled a towel and hung it on the line but it must have been blown off into the fire and was completely destroyed. There’s not even enough evidence to show the bloke and he’s a hard man to toss at any time. However I still have a towel and if he doesn’t come across now there’ll be plenty of towels and everything else later on. The war news seems particularly good lately and I see by the local rag that the Pacific War Council are meeting so there’s sure to be something doing soon. To use the accepted version – they’re hatching out some bastardry. Well I must say cheerio now Mother and Dad. Give my regards to Tom and the family and my love to May, Anne & Carline. Tell the boys I can sympathise with them on the ration shortage and hope things get better soon. It’s a pity you didn’t have someone working int he cookhouse at Brighton – they wouldn’t go short then. All the best. Jim Mc wishes to be remembered to you. He didn’t quite like that crack you made but he said he’ll discuss it with you when he comes home. 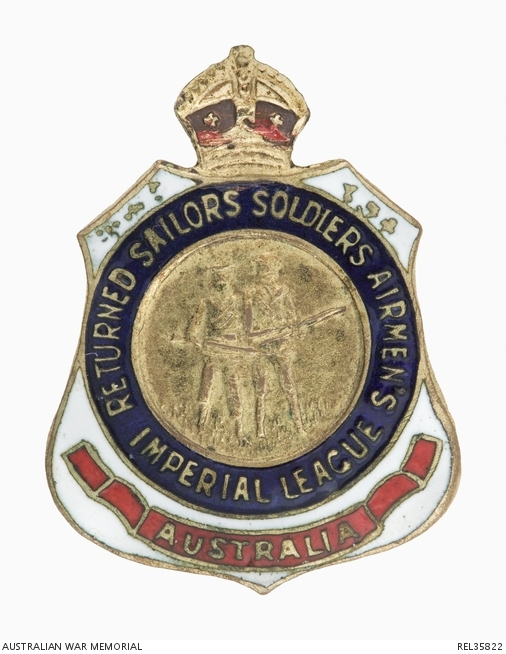 When it was formed in 1916, membership of the RSL was limited to ‘returned fighting men’ who had volunteered for war service. By early 1943, 8 Militia battalions had gained battle experience in New Guinea – at Milne Bay, the Kokoda Track and Gona/ Sanananda. The question of whether membership rules should be changed was debated by RSL branches around the country, in preparation for a meeting of the League’s Federal congress. The West Australian newspaper reported (http://trove.nla.gov.au/newspaper/article/46770777) on a resolution was passed by the WA state congress after a ‘long and turbulent debate’: Any person, volunteer or not, attested or accepted for active service, who has served in a theatre of war at any time and been employed and paid by any naval, military or air force of any part of the King’s Dominions, shall be accepted as a full member of this league. This clause to be interpreted in its widest sense. 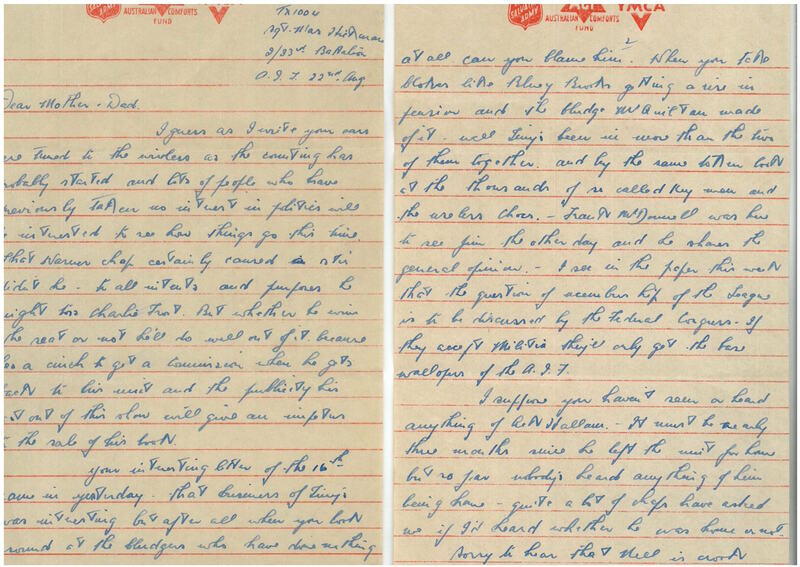 Ack (Alfred Ernest Hallam, TX1003) was a battalion original who enlisted with Dad (TX1004). His Service record indicates that soon after being promoted to A/WO II on 6 May 1943 he was classified by the Medical Board as “medically fit to carry out certain duties which require only restricted medical fitness”. 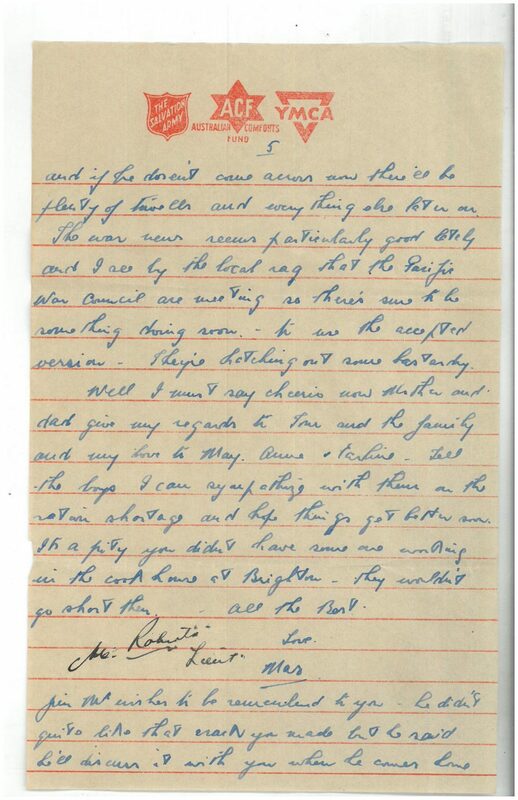 For the following 5 months he appears to have moved between reception and staging camps, until October 14 when the annotation is – ‘taken on strength from 13APSC’ (Aust Pers Stag Camp). 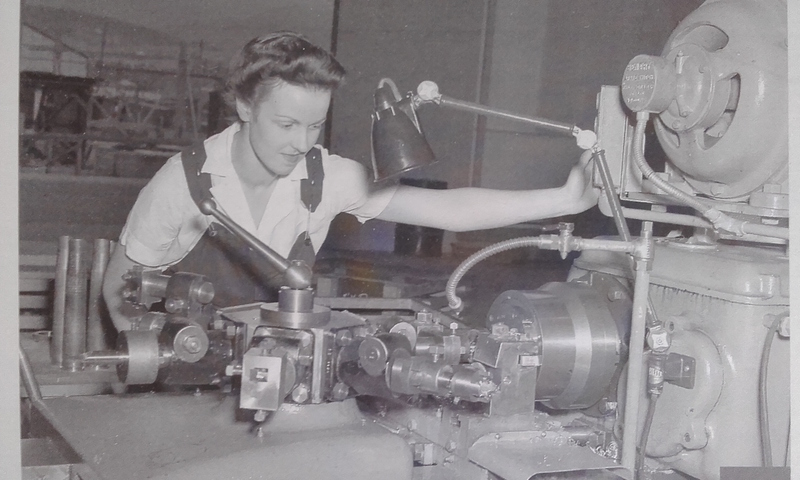 I doubt that this is the kind of work Dad was referring to, but can’t be sure… These images are taken from Hobart at War 1939 to 1945 (C J Dennison 2008) and depict women working on heavy machinery. 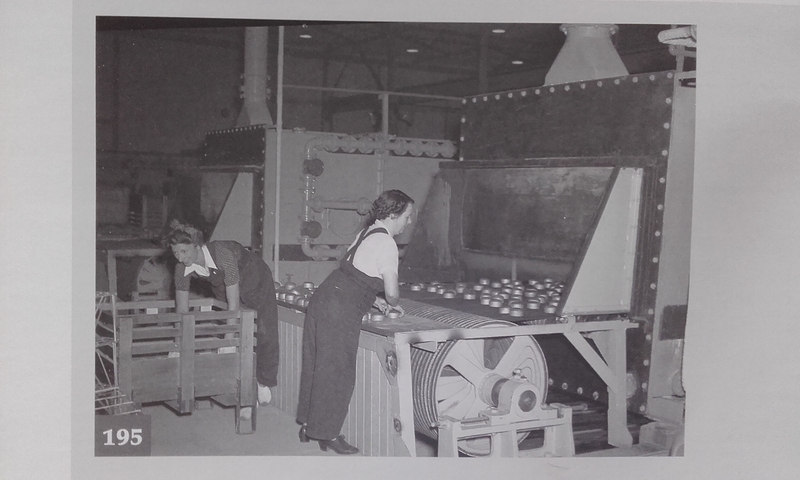 According to the captions, the women were ‘highly efficient at their jobs, which demanded proficient skill levels and precision’. 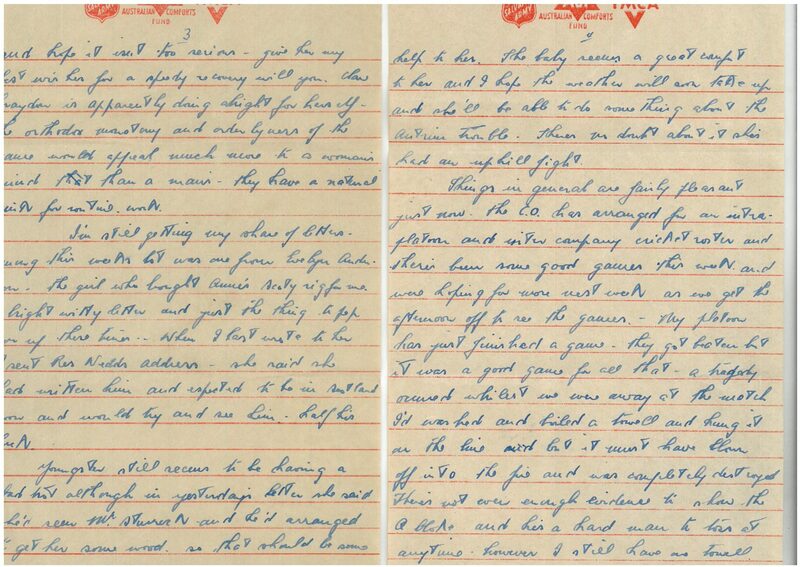 The Battalion War Diary notes on August 21 – 1330 First match of inter-platoon cricket comp played.. The Footsoldiers (p264) describes several other recreational activities : ….On some days the unit marched off down to a small beach near Bootless Inlet and just lazed int he sun. In Moresby itself other forms of entertainment were provided. Moresby boasted an officers’ club and a big soldiers’ club where from time to time concert parties performed.. A professional boxing stadium had also been built there and on nights off duty troops would hitchhike into Moresby to watch, b3t on or encourage the contenders, both Australian and American, in three round bouts. Some of the unit repaired two native Lakatois (outrigged sail-type canoes) and either paddled or sailed them in and about Bootless Inlet….. 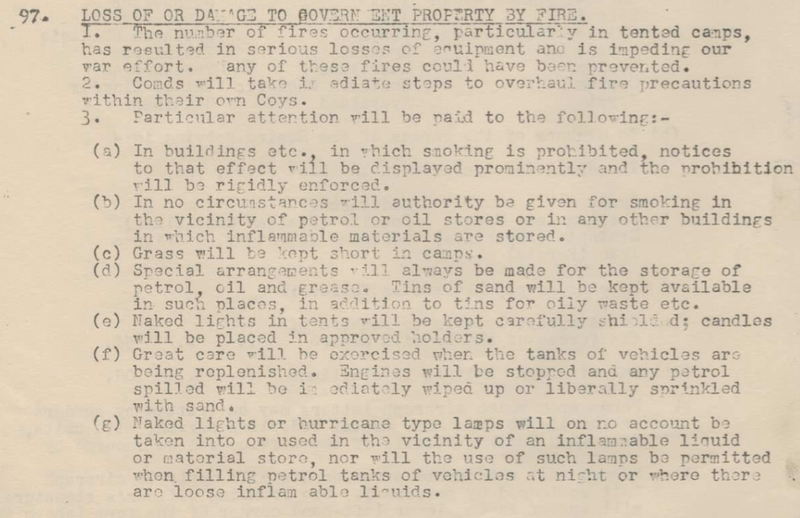 This entry was posted in Australian, escapades, relaxation, fun and games, Politics and tagged Franklin 1943, RSL membership. Bookmark the permalink.